A Denver car accident attorney explains the benefits of UM/UIM coverage. An insurance company typically will offer countless types of coverages. The various types of coverages are esoteric, ambiguous and often unintelligible. 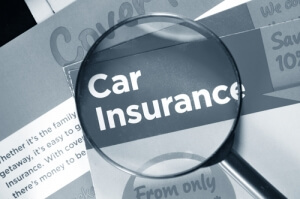 However, it is undeniably worth your time and energy to become familiar with uninsured/underinsured motorist coverage as it is an essential component of a policy of insurance. Those who reject UM/UIM coverage or refuse to become familiar with it do so at their own peril. UM/UIM coverage is invoked when an individual is injured by a negligent motorist who has no liability coverage or inadequate liability insurance. UM/UIM coverage is also applicable in a situation where an individual is injured due the negligence of another even if there is no physical contact between the vehicles (often referred to as phantom vehicles). For example, in the event you are run off the road and the vehicle operated by the negligent party does not physically contact your vehicle you may be entitled to UM/UIM benefits. The Colorado UM/UIM statute is found at CRS 10-4-609. The purpose of UM/UIM coverage is to enable an insured to receive indemnification to the extent necessary to be fully compensated for a loss caused by the conduct of a negligent, financially irresponsible driver. Freeman v. State Farm, 946 P.2d 584 (Colo. App. 1997). An appalling number of Colorado residents operate vehicles without liability coverage or inadequate coverage. In the event you sustain injuries in an automobile collision and the negligent person does not have liability coverage or has inadequate coverage full compensation for your injuries and damages is extremely unlikely absent UM/UIM coverage. It is the legal obligation of an insurance company and/or insurance agent to inform and notify a person purchasing automobile liability coverage of the nature and purpose of UM/UIM coverage. In order for a rejection of UM/UIM protection to be valid it must be in writing and maintained by the insurance carrier. The failure of an insurance carrier to produce the written rejection documentation automatically entitles the insured to UM/UIM benefits. Another unique characteristic of UM/UIM coverage is that in most circumstances it provides coverage for a policy’s named insured(s); resident relatives; passengers; permissive users; and pedestrians. Need Help Pursuing a UM/UIM Claim? Contact a Denver Car Accident Attorney at Bell & Pollock, P.C. For experienced help financially recovering after an auto collision, contact a Denver car accident attorney at Bell & Pollock, P.C. by (303) 795-5900 or emailing our firm via the contact form on this page.